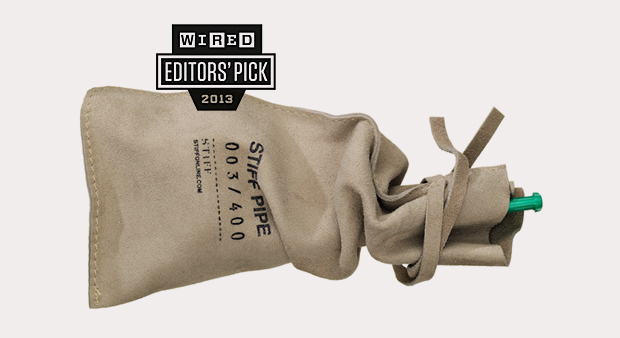 Stuff 'n' Puff - Stiff Pipe featured in Wired Magazine. Listed as the Editors Pick 2013! Place your order before Thursday and we will deliver before Christmas. Pipe smoking is a guilty pleasure, one that isn’t necessarily good for you but brings a certain quality to life. It should be approached with a Dieter Rams-like ‘less, but better’ attitude, making sure that every drag counts. 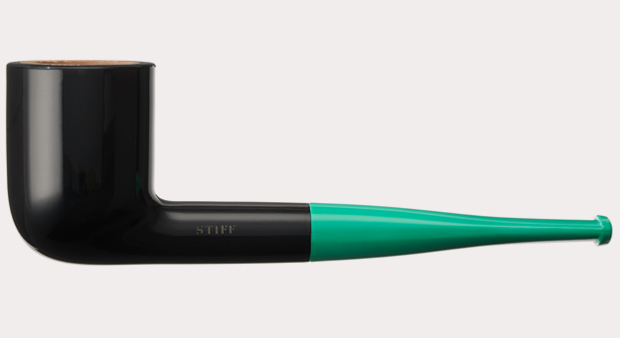 Produced in Sweden, Stiff has developed the world’s first plastic pipe cast in one piece using polished thermo plastic equipped with a briar wood tobacco chamber. Smoking a pipe is an ancient way of relaxing, but one that still works; in our stressful society, half an hour of soulful pipe puffing will help you to slow down the tempo and bring on a contemplative view of life. Smoking a pipe is an ancient way of relaxing, but one that still works; in our stressful society, half an hour of soulful pipe puffing will help you to slow down the tempo and bring on a contemplative view of life. The Stiff pipe offers this age-old service but does so using 21st century technology in an exquisite design. We offer free delivery worldwide with DHL Express. Please visit our online shop for availability on every specific color combination (red/murray, blue/navy or black/pistachio). We ship within a couple of days and provide you with a tracking number so you can easily follow your shipment. 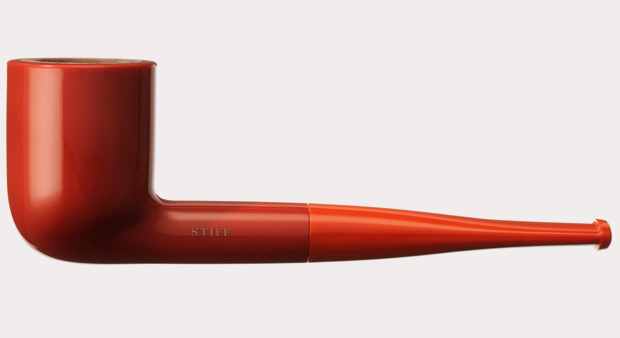 We have been developing this pipe for over 2 years. It is a mixture of industrial know how and hand made techniques that make the Stiff pipe unique. The design allows for a better draught through the pipe, which – to put it simply – makes the pipe taste better.